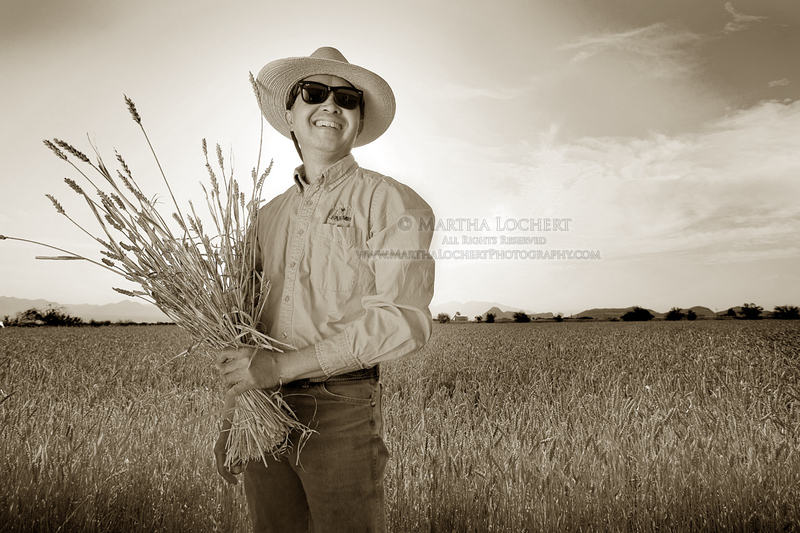 This is Ralph Wong of BKW Farms in Marana, Arizona. The family cotton farm established in 1942 now also grows organic wheat, the first crop of which they are ready to harvest. Thank you, Wong family! Image copyrighted. Any use requires licensing from Martha Lochert. This entry was posted in black & white photography, Industrial, people and tagged brown, farm, landscape, Marana, organic, photography, wheat. Bookmark the permalink. Great environmental portrait. The inclusion of the wheat in the farmer’s hand really took this shot to the next level. I also really like how you posed your subject. Nice new look on your logo, web site, and of course great shot of Wong.